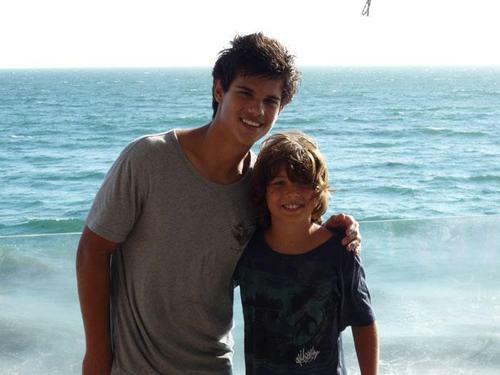 Childhood photos. . Wallpaper and background images in the Taylor Lautner club tagged: taylor lautner child. This Taylor Lautner photo might contain en bord de mer, face à l’océan, baigneur, and baigneuse.